Which one is better, Boyaca Lottery or EuroMillions? The Boyacá lottery is the oldest and most traditional lottery in Colombia. Is one of the called Banknote Lotteries, and like any other type of game of chance of these characteristics, it consists of matching the numbers previously printed on a ticket. To obtain some of the prizes of the Boyacá lottery, the combination of numbers and series of the purchased ticket must coincide totally or partially, and in the same order, with the extractions of numbered balls from draw. On the other hand, EuroMillions, is a lottery created by several European states that holds two draws each week and allows the winners get very important awards that reach up to 190 million euros (approximately $ 680,000 million Colombian pesos). Euromillions It is a lottery of numbers, in which the player must choose the combination of numbers that he considers most favorable to get some of the prizes. The Boyacá lottery offers two possibilities to play, the traditional lottery system, or the permanent betting system. Lotería de Boyacá traditional system: The traditional is the oldest lottery sale system that exists. It consists of playing a number and a serie printed on a ticket. Usually the ticket has 4 printed numbers between 0000 and 9999, which are repeated among the various series that the organization puts on sale in the draw every Saturday. Lotería de Boyacá permanent betting system: Permanent bets, also known as “chance“, is a game modality in which the player by means of an official form or ticket manually or by mechanical system (thermal roll), is able to indicate the value of his bet and choose a number of up to four (4) numbers, so that they coincide totally or partially with the result of the lottery to win a prize. Likewise, the EuroMillions lottery offers two possibilities to play: register the bet personally in one of the authorized establishments for sale distributed by all European states that make up this lottery, or the possibility of doing it online. In both cases the mechanics of the game consists in creating a combination of 5 numbers of a table containing 50 squares numbered from 1 to 50 respectively, and also choosing other 2 numbers (or stars), from a second table with squares numbered from 1 to 12. The combinations of both choices (5 numbers plus 2 stars), configure the bet’s forecast. The ticket for the Boyacá lottery is made up of 3 fractions, and each fraction has a cost of $ 5000 Colombian pesos (approximately € 1.40). The official price of the EuroMillions bet is starting from € 2.5 (or its equivalent in the currency of the country that markets it outside the EU), approximately $ 8,900 Colombian pesos. The Boyacá lottery has a prize plan that differs whether the purchase is of tickets through the traditional system or through permanent bets or “chance”. The jackpot is $ 12,000,000,000 Colombian pesos, gross to the ticket. Of this amount would correspond $ 7,968,000,000 Colombian pesos once discounted taxes. The prize for the fraction is $ 2,656,000,000 Colombian pesos discounted taxes. Dry awards 100, 50, 20 or 10 Million Colombian pesos pre-tax. Awards approximations to different series, ranging from thes $$ 18,000 and 3,000,000 Colombian pesos. Approaches of approximations with the series, something superior with amounts from $ 12,000,000 for the winner with the inverted combination, as well as 9 prizes of $ 12,000,000 pesos for the winners of the first three or the last three figures of the main prize , as well as for the 9 acertantes of the first two figures and the fourth. This amount in case there was no acertante in the draw, is accumulated for the same category in the next draw, and so on until reaching a maximum amount of 190 million euros. Other award categories are set to acertantes of 5, 4, 3 or 2 numbers alone, or combination with successes of stars. The 13 category , awards the winners of only 2 numbers, and the amount to be received is usually about € 4.5 (about 16,100 Colombian pesos). 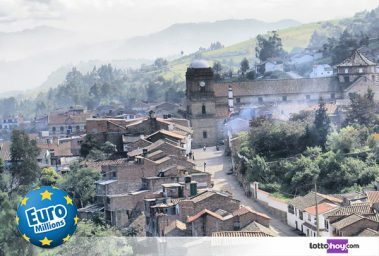 The odds of winning the main prize in the lottery of Boyacá, are approximately 1 in 15,000,000 (depending on the number of series participating in the lottery). Throughout the article we have been shelling out all the differences that are You can find between these 2 games. Below you can see a summary of the characteristics of this Colombian lottery and the EuroMillions. Unlike making the bet in person, which means to reside or buy the ticket personally in any of the administrations or official points of sale, doing it through the internet facilitates the possibility of play from anywhere in the world geography and through any mobile device or desktop computer. There are already many users who dare to play EuroMillions every day from Colombia, as they can win accumulated prizes and become new millionaires, and billionaires.